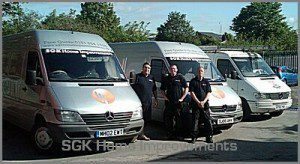 SGK Home Improvements have been serving the local Liverpool community and surrounding areas for nearly three decades. Owner run and Managed, SGK Home Improvements offer a diverse range of windows, doors, porches, conservatories and orangeries, as well as Guttering, soffits and fascias. We serve Liverpool, The whole North West and all the surrounding areas and Counties. Unlike other typical double glazing firms, we have access to whole of market products meaning we are not tied to one supplier or one brand. For you this means we can source the products that are exactly right for you and your home. Our customers are broad and all with different wishes and requirements. We have helped local people on a budget that are seeking the best value doors and windows to make their homes warmer and more energy efficient. Other customers have trusted our expertise and professionalism to help them create their dream extensions, provided modern window and bifolding door solutions to those building their own homes and provided a host of replacement window and door solutions generally. Visit our testimonials to find out what local people say about a trusted and reputable local home improvement firm. SGK actively encourage our customers to leave feedback for every job we carry out. Our gallery of installations comprises all our own work and no library images. If a product or service, you require is not listed, please email us and we will do our very best to source it for you. We want you to feel free to interact with the site, and work with us to give you the customer what you want at a realistic price you would be happy to pay. 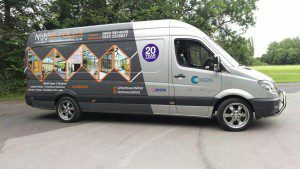 We have been maintaining and installing uPVC, Timber, Composite and Aluminium Windows, Doors, Porches, Soffits, Fascias, and Seamless guttering in Liverpool and Merseyside for 25 years. Our Managing Director, Steve Sharples has a wealth of experience starting as an installer and progressing to Technical Director for an established company serving the PVCu and Timber Window market all over the UK. SGK, your local trusted home improvement Company. Our sister company, North West Bifolds, for quality architectural aluminium products. 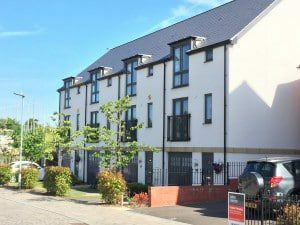 SGK Home Improvements was established in 1989 carrying out refurbishment contracts for local authorities, developments of new build homes and the construction industry generally. It was a natural progression to share experience and knowledge with the local home improvement market and have now completed a huge number of installations in the local area. SGK work with the most trusted door and window brands in the UK. We are approved suppliers and installers for established and trusted brands such as Rehau, Schuco, Duraflex and many others. This wide choice of quality doors and windows gives you the perfect mix of high quality with affordability and luxury. SGK Home Improvements, serving the local area and beyond. We are based in Liverpool, but can install within a 100 mile radius with our high quality products and installations. Our company is also accredited and certified with the leading industry bodies. Master Card, Maestro, Visa, Visa electron, PayPal and online payments accepted. The double glazing industry can sometimes be perceived in a negative light. At SGK we believe in a professional approach to business, a personal service, no high pressure sales tactics and honest, impartial advice. Our sales process is transparent with no “too good to be true” discounts, “buy one get one free” offers, or incentives to sign up your business there and then. All our prices are straightforward, competitive and reflect the quality or our products, service and workmanship. Contact us to see how we can help you improve your home.